Dragon Staff and Hoop duo. 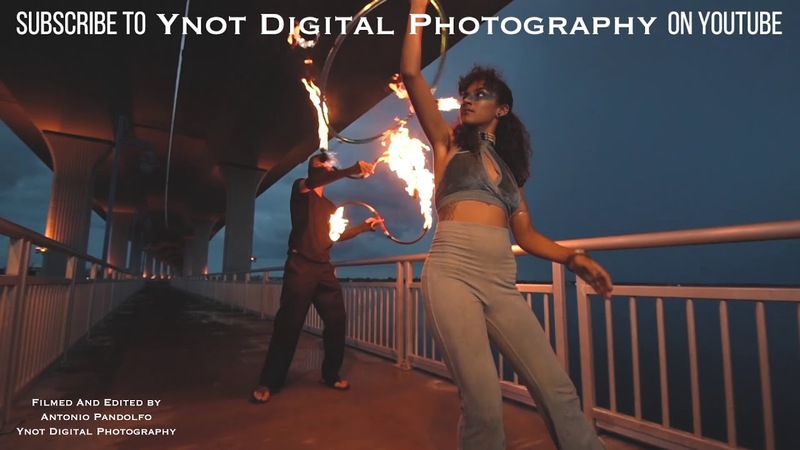 Fire performance, LED performance, roving acts, choreographed shows, juggling, sideshow and busking style entertainment. Professional, experienced fire entertainment tailored to your event! Proof of insurance and fire safety certification available upon request. Talented, passionate performers that engage the audience, add flair to functions, and always above all, maintain a safe practice. See set list for props. We love to teach! Here's a link to some reviews of our business. I’ve seen Spread the Flow perform numerous times, as fire/LED performers, teachers, and even as stilt walkers and clowns... these guys are amazing to watch!! Not only that, they are extremely professional and very personable! I am looking forward to being at multiple future events that they host and perform at... top notch quality people!! Spread the Flow is such an amazing performance. The best part is, JT can entertain solo or if you’re tribe would like to participate, he can provide a workshop. Spread the Flow workshops are so hand on & educational. All the props & instructors are top of the line & super dynamic. What a wonderful thing for the Flow community!! Such a cool, way to bring everyone closer & entertained!! Kava Kat looks forward to flowing at our cherished & celebrated weekly events. We would recommend Spread the Flow for everyone of your events!! Insurance: $1,000,000 - Against Venue damage, crowd injury, personal injury. For those who want us to be the main event. Impressionable fire entertainment that is the center of attention. A non stop unique show that will make the night unforgettable. Everything else at the event will stop and the center of the party becomes the fire. Performance sets from 5 minutes to 30 minutes. We can move around, staying in the background and performing intermittently. 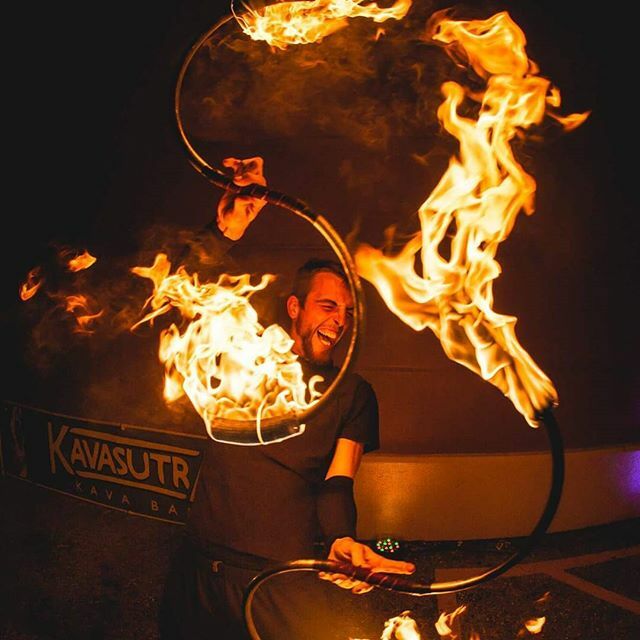 Using Fire, LED or regular juggling props we are there for more personalized engagements, in the peripheral of the party, adding an extra flair without stopping everything else that's happening, creating magic moments at our own discretion. 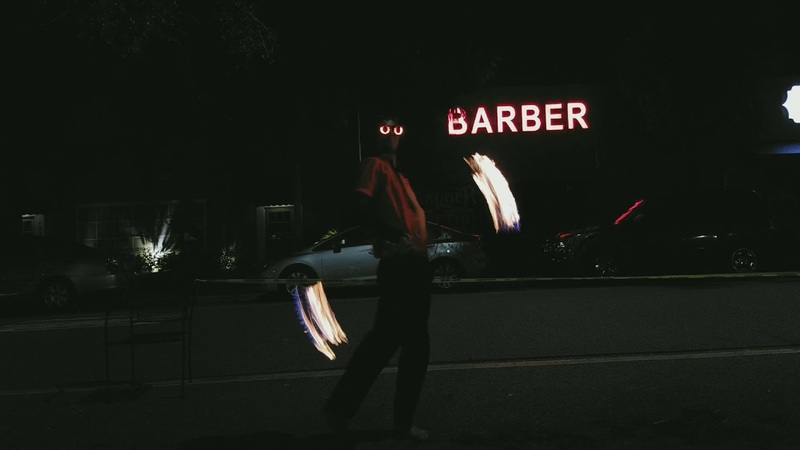 Juggling: Knives, LED clubs and LED balls, rings, clubs, fruit, fire and more, we can juggle just about anything you throw at us. 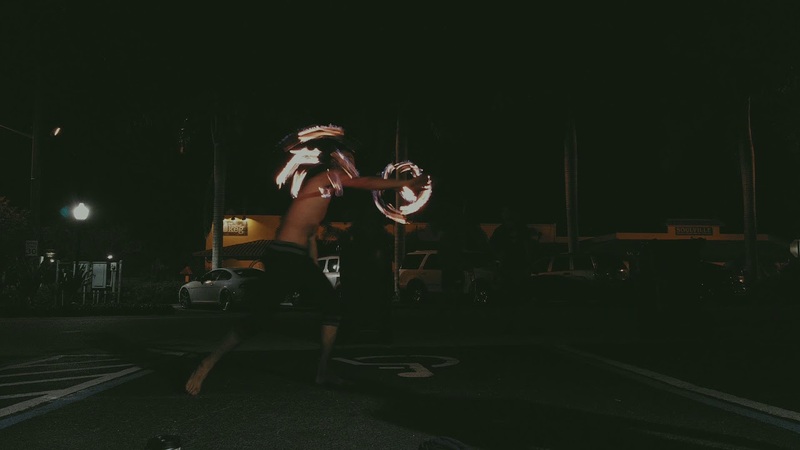 Juggling adds a degree of live art to your events that stimulates the mind, catches the eye of new customers, and lights the imagination of all present. Performances from 5 minutes to 20 minutes. Ambient juggling can go on for hours. We bring a short performance, followed by a class on how to use the props we perform with. We provide the props, as many(and we mean as many) as you need for your class. from individuals up to 100 people or more. Juggling balls, clubs, scarves or rings. Our roving stilt walkers come with jokes, costumes, juggling skills, hosting abilities and more. The perfect way to advertise your booth at a festival, and a wonderful way to delight your guests. Appearances from 5 minutes-5 hours. Costumes available: PT Barnum the ringleader, Pirate costume, classic black performer, and custom orders to match the theme of your event. 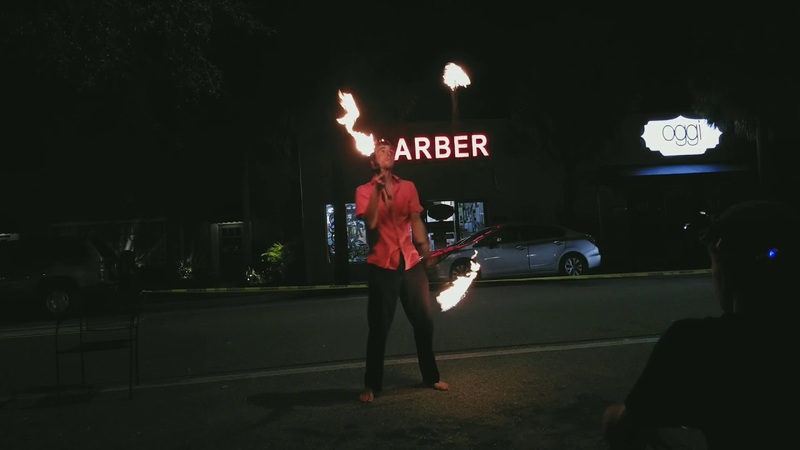 The fire acts that I perform require adequate space, look better with minimal lighting, and pair perfectly with ambient music. My arts can be done inside and outside. I can provide my own PA with microphone or use your equipment. I am capable of building custom playlists or performing to my own music. My props can actually upload a custom logo onto them, so if you'd like us to represent your company in that way we can accomodate it. We can program our tools to create custom lightshows to the beat of the music, so reach out and let us know what you need! Jonathan Taylor Performer/ Safety/ Medic. I bring all other equipment for indoor or outdoor.